This cost effective, double sided, free standing tower features a sturdy construction and stylish design. Graphics are held under tension in a curved, eye-catching bubble position. This 2-part upright tower disassembles, allowing the unit to collapse into our popular wheeled OCP case for easy transport. 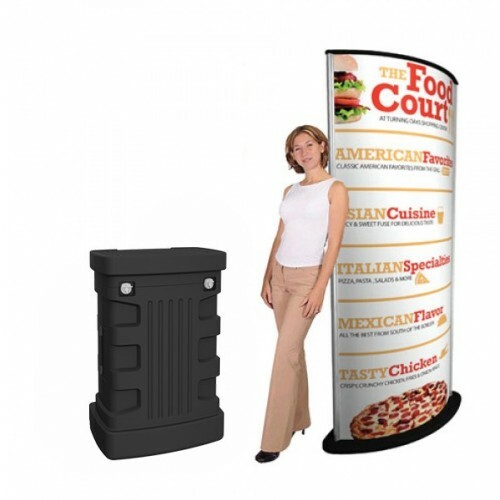 This stand alone tower display offers 360 degrees of viewable impact and is perfect for trade show events.